Welcome Video Home Page from Brenda Adelman on Vimeo. Not in San Diego? No Problem. Brenda’s signature step-by-step 12 module online video training course. Everything you need to know. Discover Brenda’s 4 Step Proven System to create your show, use your talent, find your message, express yourself and get paid. You can be anywhere in the world. Check out all the bonuses and the LIVE component here! 4. Your Story Made Simple Online Training- you can be anywhere in the world. Find out more and sign-up here! Go at your own pace. 24/7 access to the program. This is for you if you have your own business (you are the CEO) and want to learn how to tell your story in your marketing so you can do interviews and grow your reach and fans. 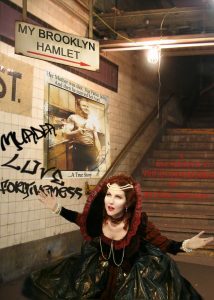 My Brooklyn Hamlet is Brenda’s acclaimed one-woman show about family, murder, love, betrayal and the awesome power of forgiveness. In 1995 Adelman’s mother was shot and killed by her father and within months he married her aunt. This is a story about love and hate, passion and numbness and how to find joy after you’ve lost everything. “She tells her story through dark, wickedly funny anecdotes that are laugh-out-loud hilarious, but also gut-wrenching. 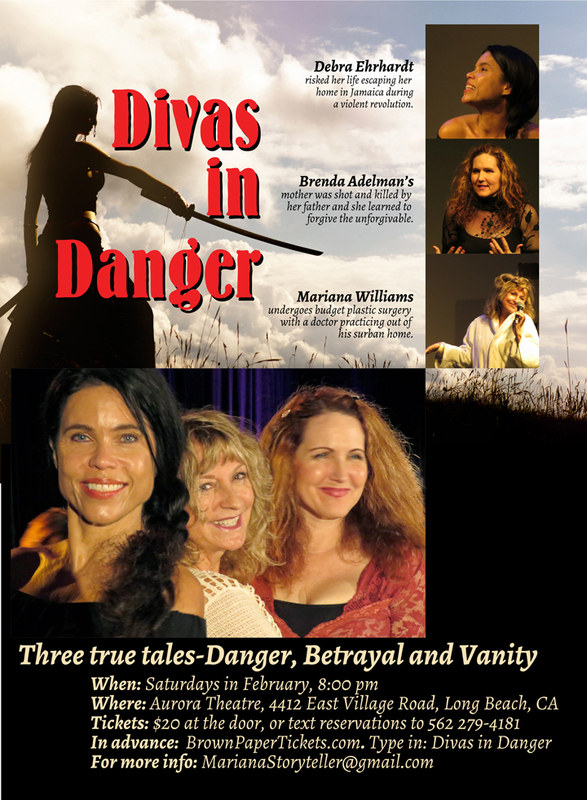 Divas in Danger includes 35 minutes from Brenda’s critically acclaimed one-woman show, My Brooklyn Hamlet. Divas in Danger skillfully manage to be both harrowing and hilarious, sometimes simultaneously. The full house responded enthusiastically to Divas in Danger…it’s well worth checking out. Lack of forgiveness gets in the way of everything! 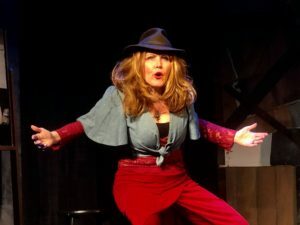 Want to be the first to know where Brenda will be performing her one-woman show, My Brooklyn Hamlet? Holding resentments keeps you backstage, stuck in the green room where you can’t be the leading lady/ leading man of your life story. When you heal then you have the freedom, the real freedom, to tell your story. Maybe a tragedy has taken you down. Until you deal with it you can’t find the comedy, the joy, real love in your life. It’s time to bring the curtain up and put the lights on so you can step into the spotlight. Don’t let the final curtain come down before you have forgiven the past (or a current player in your life) and lived your story the way you want. Time to live life to the fullest. There will be drama but it doesn’t have to be bad. It can be exciting…after all it makes us feel! If you choose not to feel than you aren’t really living…just running lines and performing scenes from someone else’s script. Take the stage and Stop being a bit player in someone else’s life. I was an actor, playing a small part in my family story. I was treading water, just getting by. I was stuck in a side job while auditioning here and there and taking acting class. Then tragedy struck. My father shot and killed my mother and quickly married her sister. I couldn’t be a bit player anymore in my family story because I had no family. I had to forgive before I could move on and change the story of my life. Now, I have a critically acclaimed one-woman show that moves people to change their lives. I created a business from sharing my life story. 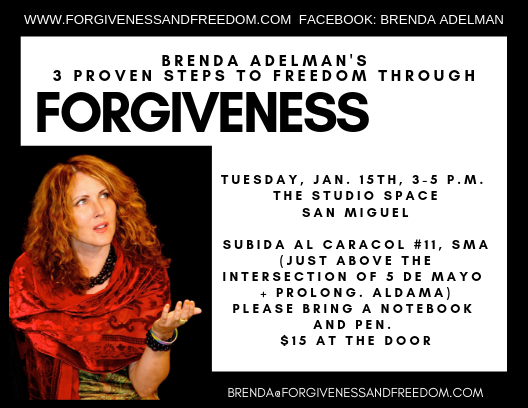 I lead workshops and speak about how to forgive the unforgivable and find peace, joy, and love again. I am creative. I am a life coach and I’ve written my processes down so I can share my Story Success System and How I Opened My Heart again with you. Are you an event planner or theatre producer that wants to move your audience to laughter, tears and forgiveness? Invite Brenda to join you in your city with her tour de force one woman show., My Brooklyn Hamlet: A Meshugenah True Story. To watch it unfold is gripping, emotionally draining and uplifting…All the time there is the echo of that fatal gunshot ringing in our ears, and the knowledge that this is real, and these things really happened to the woman standing just a few feet away…stranger than fiction…(My Brooklyn Hamlet) plays on the parallels with Hamlet – in which Claudius murders the hero’s father and marries his mother. The key difference is that while Hamlet is bent on revenge, Adelman ultimately sought to forgive her father…. If any kind of remarkable twist were needed for such a story, that is it. ..
…ripped straight from Greek tragedy or, more pertinently, Shakespearian drama…Carefully avoiding sensation or sentimentality, Adelman’s dialogue is direct…the power of the story carries this through, along with the winning personality of the flame-haired performer ..
Brenda Adelman has toured internationally with her critically acclaimed one-woman show, My Brooklyn Hamlet: A Meshugenah True Story. 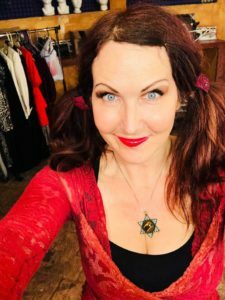 Her diverse audiences include women prisoners, trainers and survivors of domestic violence, youth-at-risk, high school, college and grad school students and faculty, the United States Air Force, mental health practitioners, theatre lovers and spiritual communities. Partial List of Performances: The Jewish Ensemble Theatre in Michigan, The Los Angeles Womens Theatre Festival, The NYC Until the Violence Stops Festival, Repair the World Festival in Vienna, Austria, The Leeds International Jewish Theatre Festival in England, The New End Theatre in London, Unity Church and Church of Religious Science in North Hollywood, Flagstaff, Sedona, Oklahoma City, Phoenix and Oahu, HI. Keynote presenter for The Coalition Against Domestic Violence in Albuquerque, New Mexico and in Phoenix, AZ. Most recently performed at The Marsh San Francisco and at the San Diego International Fringe Festival. Learn to embrace that part of him that lives in you, through you, as you, in a compassionate way otherwise that energy becomes toxic. And when it is then it shows up as anger, vengeful thoughts, depression, apathy and as illness.